This entry was posted in Alternative Medicine, Healthy Living, Holistic Health, Vaccinations and tagged alternative medicine, anthroposophic, childhood illness, conventional medicine, health, holistic, medicine, physician. Bookmark the permalink. Anthroposophical Medicine (AM) is an extension of orthodox medical practice rather than an alternative to it. As an approach, it aims to treat the body as well as the mind, soul and spirit. Founded by Austrian scientist and philosopher Rudolf Steiner (1861-1925) and developed in co-operation with Dutch physician Ita Wegman (1876-1943), anthroposophy is a science in which both the human being and the natural world are described not only physically, but also in terms of soul and spirit. AM doesn’t aim to replace conventional medicine. On the contrary – it is based on accepted medical science; it just takes things a step further. In other words, AM makes use of everything that scientific research has revealed to be of benefit to the human being. Moreover, it supplements “material science” with aspects of spiritual science in order to assess the individual as a whole entity. AM takes into consideration the human being as a threefold, fourfold and sevenfold organism. With the threefold perspective, the doctor looks at the balance between the nerves-senses, breathing-circulation and metabolic organs, and then prescribes remedies to address this balance. With a fourfold approach, he or she looks at how medicines affect the physical body, life body, soul body and the individual spirit part of each person. The sevenfold comes out of looking at the specific organs and glands, such as the liver, heart, kidneys and thyroid, that are part of a certain illness. All these considerations go into choosing medicinal substances that are connected to a particular imbalance. Unlike conventional medicine, AM does not look at illness as a chance occurrence. AM treats illness as a significant event in the life of a person. The role of a doctor is of paramount importance in this branch of medicine. The doctors need to examine the patients thoroughly and detect the root of the ailment. While traditional medicine tries to keep the illness suppressed and suggests drugs that resist the symptoms, AM believes in eradicating the illness by analyzing and then annihilating its root cause. The main difference between AM and conventional medicine is that it doesn’t only look for the illness in the person, but rather the person in the illness. The diagnostic procedures and the symptoms observed therein may be identical, but a holistic interpretation can lead to different treatments being recommended, or conventional therapies being supplemented by additional measures. 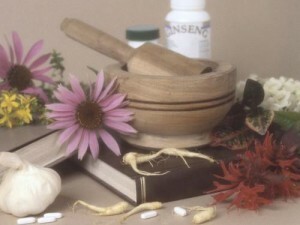 All anthroposophic medicines and remedies are designed to stimulate the patient’s powers of self-healing. In this way they complement conventional medication. Where conventional medicine concentrates solely on destroying the agents of disease, suppressing associated processes, and replacing missing substances (e.g. vitamins, hormones, blood elements), AM, wherever possible and sensible, aims to enable the human organism to overcome a disease through its own resources. The emphasis is on restoring the balance of bodily functions and strengthening the immune system. The right medicines play a major role in this process. Anthroposophic remedies can be used along with and may enhance traditional therapy. The patient is cared for as a whole human being, body, soul and spirit. Nutritional guidance, life study counseling, and other natural remedies are used as well as supportive Anthroposophic therapies and adjunct healing methods such as rhythmical massage, curative eurythmy, hydrotherapy, music therapy and artistic therapy. AM seeks to find meaning in illness from the perspective of personal development. AM can be used to treat any health condition in children. It is particularly recommended for preventive care, infections, inflammatory conditions, and the treatment of cancer. With its avoidance of toxic drugs (antibiotics) and vaccinations, it is beneficial for children’s conditions such as attention-deficit hyperactivity disorder (ADHD) and developmental problems. Most of the illnesses common to childhood are the standard upper respiratory tract conditions. While in the view of physicians practicing AM it is crucial to not suppress the illness with drugs or antibiotics, they offer many remedies to parents to support the discharging (“the expressing”) of the illness, driving it out of the body. From the AM perspective, it is often not the type of childhood illness that determines the mix of remedies, but rather the child being treated. Doctors have to individualize treatment based on symptoms and the child’s particular constitution. Two different children with the same illness may require quite different treatments. AM typically enables doctors to avoid using antibiotics in treating children. The aim of treatment is to support the externalizing and discharging of the illness process — to get it out of the body — so that no residual illness remains to become a chronic problem later in life. The essential point is that health is not merely the absence of illness, as conventional medicine presumes. Rather, it is the balance between acute inflammatory and chronic illnesses; when you suppress the first in childhood, you’re likely to see more chronic illnesses in adulthood. What Makes an Anthroposophical Physician Different from a Conventional Physician? All anthroposophical physicians are conventionally trained M.D.s, as Rudolph Steiner believed that conventional training was a necessary first step. However, a visit to an anthroposophical physician may be different than a visit to a regular doctor. Anthroposophical doctors, first of all, tend to spend much more time with their patients, particularly during the initial visit. Every patient is considered unique, and AM doctors use the first visit to get a broad understanding of patients and their medical histories. For instance, the first visit may include perceptions on body language, a detailed personal history, a detailed discussion about dietary habits, observations about breathing, posture, and many other aspects – all of which determine an individual’s personality. For children, the anthroposophical physician will look back to the mother’s pregnancy and get a detailed account of the history of the family and daily life in addition to the areas noted above. To diagnose illnesses, AM doctors may use modern diagnostic tools, but they also rely on intuition and an understanding of the patient. Part of the training of AM doctors involves improving their powers of perception in order to understand illnesses. Diagnosis is considered a very important process; Steiner believed that if the diagnosis of a problem is done correctly, then the therapeutic (healing) work is much easier. Photo Credit 1: Holistic Medicine, Rodd Stockwell, M.D. Interesting post! I was reading last night about anthroposophy and Waldorf education. I just selected a Waldorf-inspired homeschool curriculum for my child and know very little about it so I’m trying to learn more. Is chiropractic seen as a part of AM? We’ve heard many of the ideas in this article from our chiropractor! Chiropratic by itself if not considered anthroposophic medicine but it is complimentary to it. It’s get a little complicated to explain but that is the simple version. 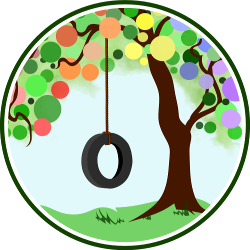 🙂 Also, if you need some good links to Waldorf Homeschool forums and blogs please email me at hybridrastamama [at] hotmail [dot] com. I have a BUNCH!!!! Yay for Waldorf inspired homeschool. You will enjoy yourself! Now it would be nice if they were in my area. Sadly no.